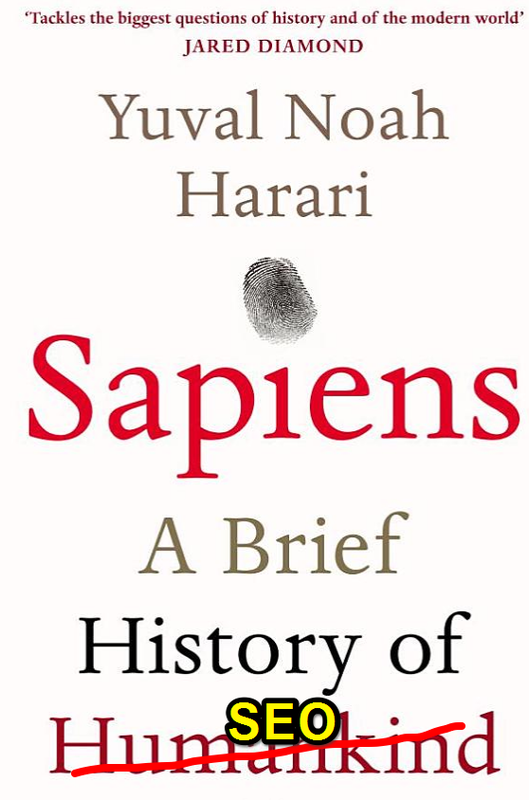 I am currently reading, Sapiens by Yuval Noah Harariand quite early on he gives us his take on how the Homosapien became the dominant species on the Planet Earth. It struck me that this reason is the same reason people get websites to rank. “The ability of getting vast numbers of humans to cooperate using the power of stories”. Stories in the context of religion, nations, tribes, companies. All exist because we imagine them and we do it in cooperation with each other. To rank a website you need other people to hold a story in their head. That story will help in them giving your website a link, a retweet, a Facebook like or whatever reaction you need. To create a story that sticks, you need people to believe in it, and believe and trust in the messenger. We may think it’s all about seo, social media, internet and shiny technology. But really the roots of how to rank a websites are buried deep within our human psyche and why about 70,000 years ago we became the dominant species on our planet. You don’t just “do” content marketing, you use the very technique that makes us Human.